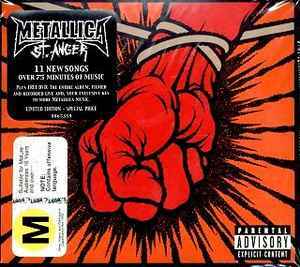 The accompanying DVD contains video footage of the entire album played by Metallica in their rehearsal room. Conceived, recorded & mixed at HQ, San Rafael, California, May 2002 - April 2003. Warning sticker on the front: contains offensive language. suitable for mature audiences 16 years and over. CD contains a 45 second long Metallica game preview video that is 3MB and in .mov format titled "video.mov"
this is not listed anywhere on the packaging. Includes all access pass with exclusive code for online content.